Say hello to Rue Anemone, an early blooming perennial in the buttercup family. It is found in late March to early April in established woods with loamy soil. 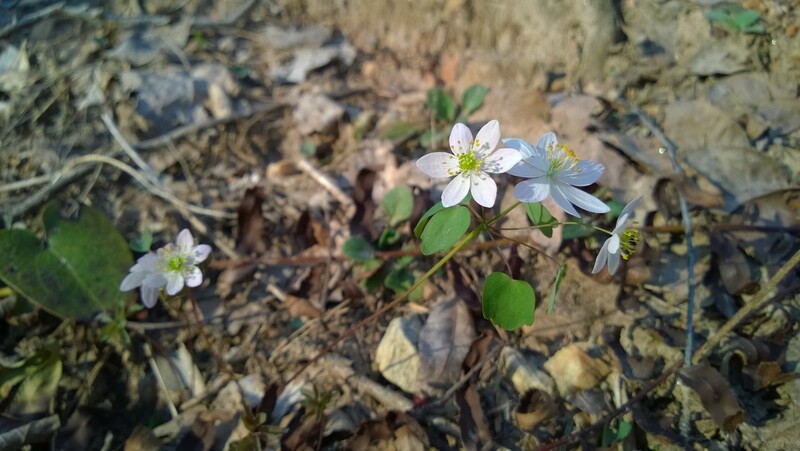 Typically growing on leafless clearings or on wooded slopes, the Rue Anemone prefers dappled light as opposed to full shade, and does not tolerate full sun. The plant becomes dormant and dies back in the summer, but returns each spring with new growth appearing through the darkened dormant leaves.